Perfect for drummers and beginners! No room for a kit? Feeling adventurous? This is a simple and amazingly effective digital kit without any drums. That's right! Play the air. 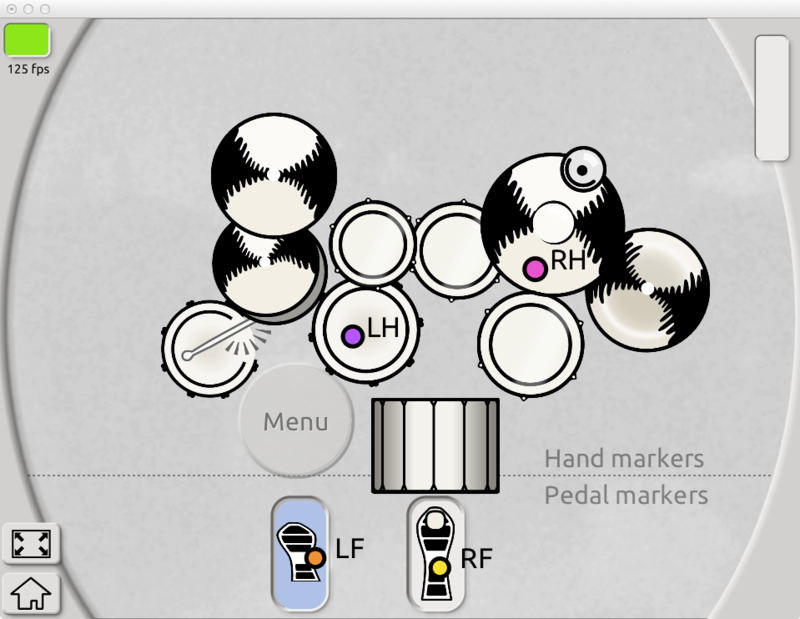 Aerodrums is a revolutionary air-drumming instrument that allows drumming without a drum set. Created for the musician who wants to be expressive and versatile while solving the problems of portability, space and noise associated with regular drum sets. Aerodrums is the perfect solution for drummers playing drums at home or on the go. All you‘ll need is a compatible PC or Mac. Watch the video to see the simple genius of Aerodrums and how easy it is to set up. You play Aerodrums in the same way as you would any drum set – only, there are no drums! The drum sticks have reflective balls at the tip and are balanced to feel like traditional drum sticks. Pedals are replaced with a pair of special foot pieces with reflective material. Aerodrums’ comes with a lamp that shines onto the reflective material on the sticks and foot markers. The lamp is equipped with a special lens and fits neatly onto the camera. The high-speed camera plugs into an available USB port and captures the movement of the reflections made by the lamp from your sticks and foot markers into the Aerodrums software. If you think you'll lose the feel of the rebound, take a look at this. Add the AERODRUMS - Kitless Drumming to your wish list.